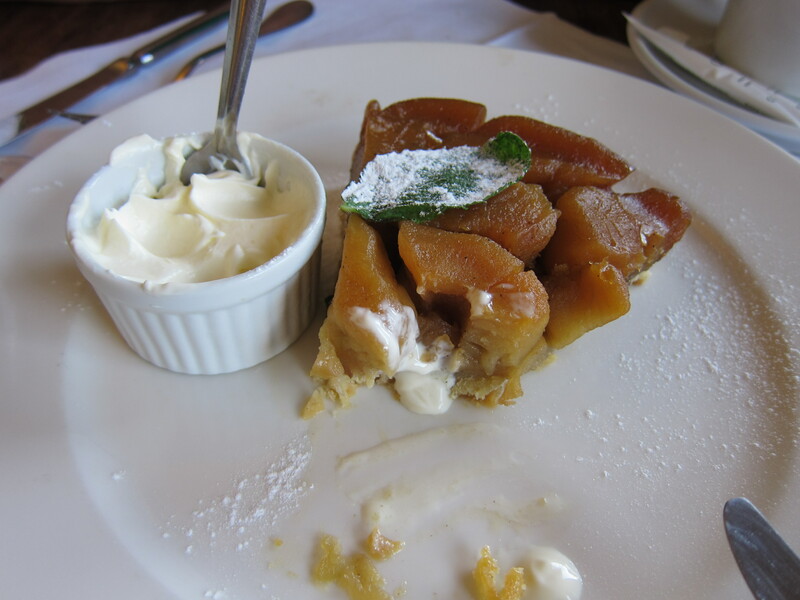 So, while in France, we fell in love with a classic French dessert called Tarte Tatin. This particular Tarte Tatin was served to us at a little Cafe by Place de Vosges, which is an adorable little park next to Victor Hugo’s old apartment building. So, once I got back from our trip, I decided that I would make it a mission of mine to learn how to make that delectable dish. This is just my first attempt. I like this recipe [which I took off of Martha Stewart’s website], but due to an apple slicer malfunction and the tarte just not quite perfectly mimicking those from Paris, I will have a few more attempt till I can find that magic recipe 🙂 It was still very yummy though, so go ahead and try it if you don’t want to wait for my next few attempts! 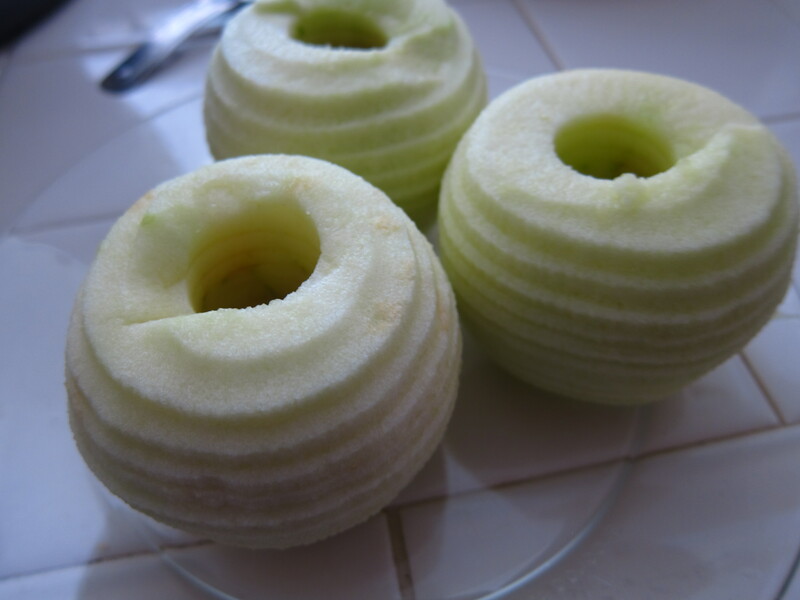 I would recommend making sure that your apple peeler doesn’t slice as well because that’s what I think ruined the texture for me. For this recipe you need to make your Pate brisee first [a simple type of french pastry dough. The recipe below calls for double what you need, so you can either half the recipe, or I always like the double because then I have a ready round of dough if I need to make a pie on the fly] Separate your dough in two disks, wrap in plastic wrap and chill. Peel and core your apples. 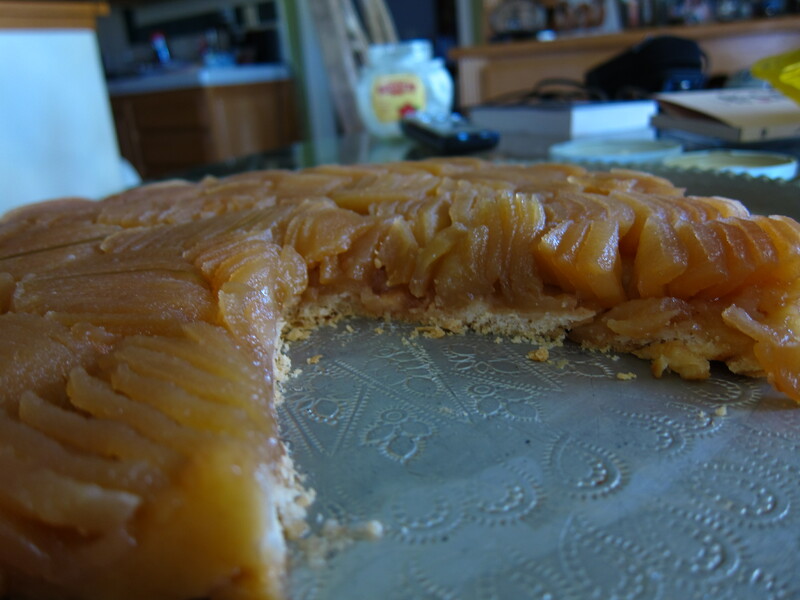 Again, in this attempt, my apple peeler sliced my apples which, I think, ruined the texture of the Tarte Tatin. After this step take one of your dough disks out and flatten it out to cover your 9 inch pan and make sure to keep it at 1/4 inch of thickness. Thinner than that and you won’t be able to appreciate the dough, thicker than that will overpower the apples and the caramel. Then put your flattened dough back in the fridge to chill. 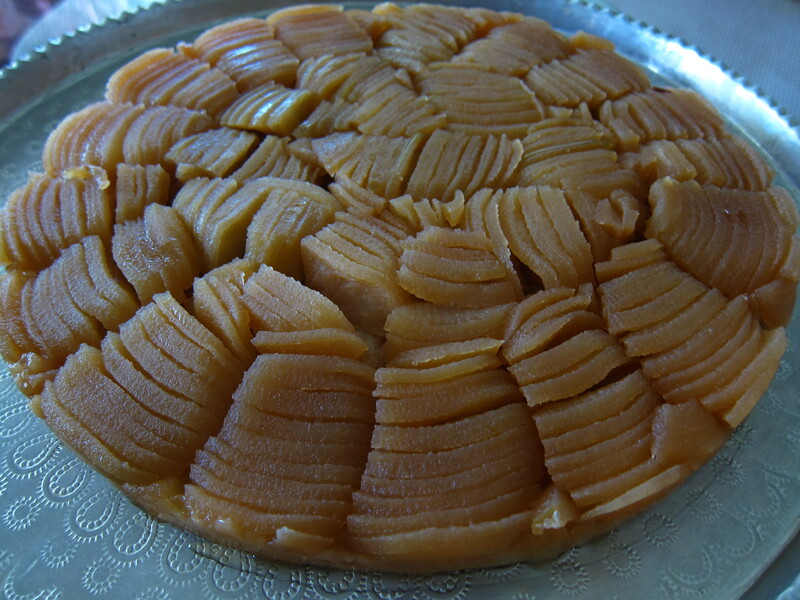 Make the Caramel and pour right into your baking dish, arrange the quartered the apples as tightly as you can and then cover with the chilled dough. Tuck in the dough to the sides and then bake! Once you take the pan out, it is very VERY important to wait at least 20 minutes to let the tart cool. If you do not let it cool, it will not keep its structure when you flip it. Then take a plate that is larger than the pan, very swiftly flip it and then tap the bottom of the pan a few times to loosen anything that might be stuck. Lift the pan off the plate and voila! 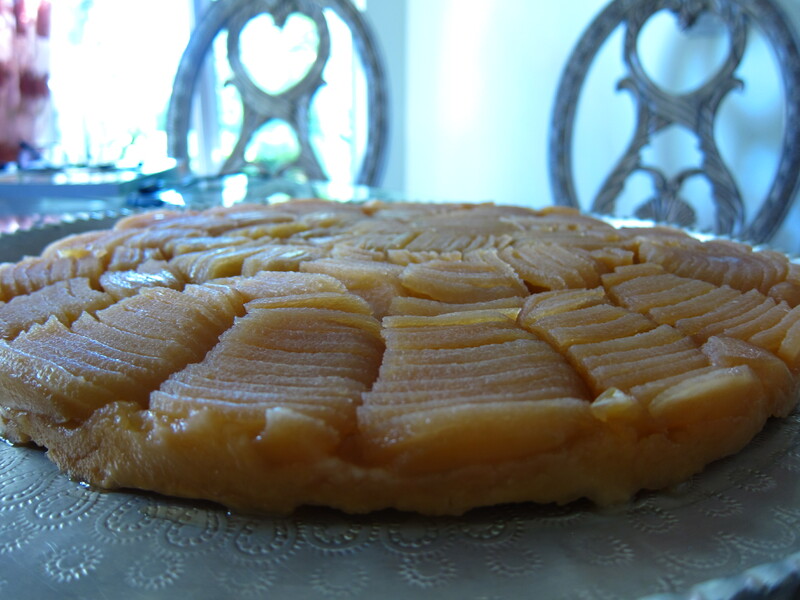 Now, take a slice out of that wonderful tart. 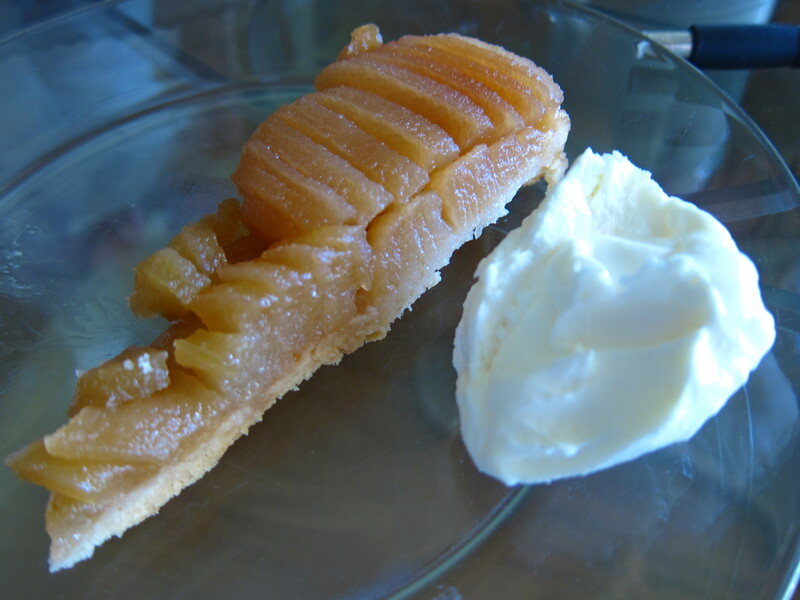 Just dollop a nice sized portion besides your Tarte Tatin slice and enjoy! Preheat oven to 425 degrees. Generously butter a 9-inch metal pie plate; set aside. Line a baking sheet with parchment paper, and set aside. On a lightly floured work surface, roll out the dough to a 9-inch round, about 1/4-inch thick. Place dough on the prepared baking sheet, and chill until firm, about 30 minutes. Meanwhile, in a small saucepan, mix together the sugar, 2 tablespoons cold water, and the lemon juice to form a thick syrup. Bring to a boil over high heat, swirling pan; cook until the mixture turns medium amber, about 3 minutes. Remove the pan from heat, and pour the mixture onto the bottom of the prepared pie plate. Immediately add the butter, distributing evenly. Arrange the apples, rounded sides down, around the bottom of the pan in a circular pattern, starting from the outside and working in, fitting them as close together as possible (the apples will be the top of the tart when served). Drape the chilled dough round over the apples to cover the mixture completely. Bake until golden, about 25 minutes. Meanwhile, line a rimmed baking sheet with a clean nonstick baking mat. Remove the tart from the oven, and immediately invert onto the mat, working quickly but carefully to avoid contact with the hot caramel. Using tongs, carefully lift the pie plate off of the tart. Transfer the sheet to a wire rack to cool. Serve warm with creme fraiche, if using. With the machine running, add ice water through the feed tube in a slow, steady stream, just until dough holds together without being wet or sticky. Do not process more than 30 seconds. Test by squeezing a small amount of the dough together; if it is still too crumbly, add a bit more water, 1 tablespoon at a time. Turn out dough onto a clean work surface. Divide in half, and place each half on a piece of plastic wrap. Shape into flattened disks. Wrap in plastic, and refrigerate at least 1 hour or overnight. The dough can be frozen up to 1 month; thaw overnight in the refrigerator before using. 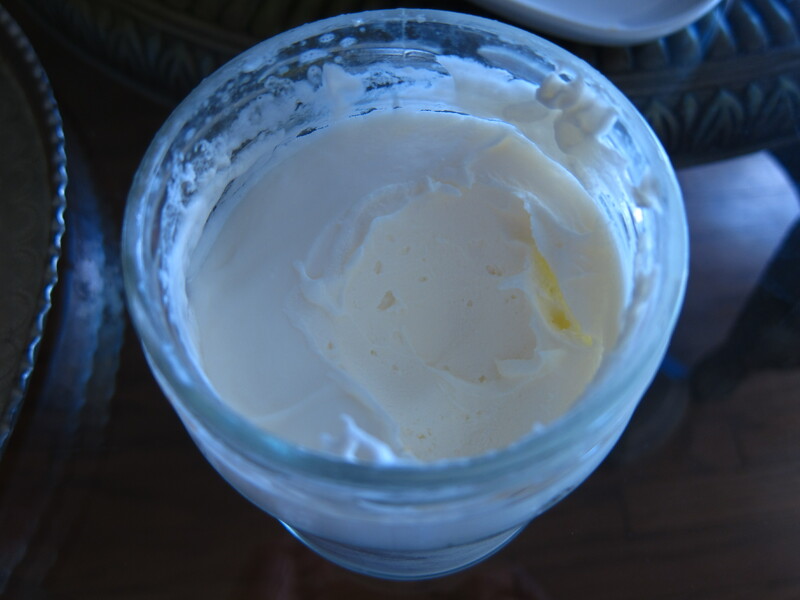 1 cup whipping cream mixed with 2 tablespoons buttermilk. Combine well in glass jar and cover. Let stand at room temperature (about 70 degrees F.) for 8 to 24 hours, or until thickened.